Senior designers Mohammad Alavi and Chad Grenier (update: and Brent McLeod) are out, along with programmer Chris Lambert and designer Jason McCord. That brings the list of departures from Infinity Ward up to at least 17 since the start of the ongoing Modern Warfare drama. This saga became public in March when IW heads Jason West and Vince Zampella were fired by parent company Activision due to alleged wrong-doing including acts of "insubordination." Last week, West and Zampella announced the formation of a new game-making studio, Respawn Entertainment, and a publishing deal with Activision rival EA. Yesterday, seven of the departed Infinity Ward developers were confirmed to be going to Respawn. There is no word yet about where the latest freshly ex-Infinity Ward game makers will go. 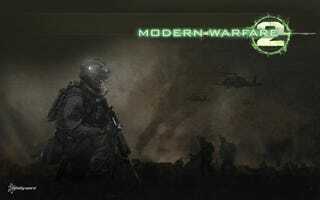 Departures are commonplace among all development teams, but the rash of exits from Infinity Ward does appear to present a challenge for the studio behind Modern Warfare, a studio Activision has been determined to keep viable given the commercial and critical reception of its Modern Warfare and Call of Duty work.